Welcome to Bangladesh Islami University (BIU). Do you want to know anything about Bangladesh Islami University (BIU)? Don’t go anywhere we are here to give you all kinds of important and necessary information about this University. Most importantly we have also described the admission procedure of BIU. This will be really cooperative for you to know the below for more info. 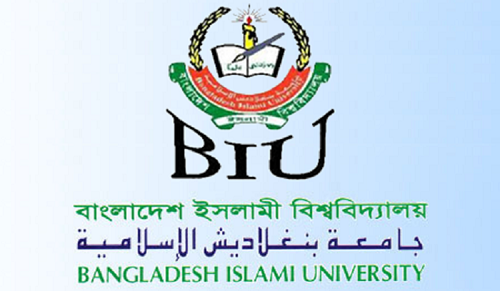 Bangladesh Islami University (BIU) was established in 2005 by the trust of this university. This wonderful university came up with a job to set up this university as a perfect institute of higher education and research in the private arena of Bangladesh. Moreover, the trust is a non-political and non-profit organization and registered with the Government of the People's Republic of Bangladesh. University has an exclusive brochure that promotes the values of inspiration, freedom, and service fill with Islamic knowledge, nature, and behavior. This particular university has capabilities to meet the financial, communal, political, technological and intellectual needs of the society and the Muslim Community. So it upholds the complete Islamic culture to the new generation. Simply by doing such lively and open-minded learning must build pioneers of the future of our nation. Minimum tuition and admission fee. Bridging gap between morality and modernism. Friday and Saturday MBA program. Evening shifts are available in all Masters Program. Reasonable cost and high-quality modern education. Library with reach collection of books and journals. Evening and Friday shift in Islamic Student. This University has 28 PhD Holder Teachers. The student must have minimum second division both in SSC & HSC Examination with minimum GPA 2.50 or equivalent or at least 'O' level in 3 subjects & 'A' level in 2 subjects’ passé. This is for BBA, BA (Hons) and LLB (Hons) programs. The student must have minimum Bachelor degree this requirement is for LLB (Pass) program. The student must have Bachelor degree with at least 2 years' working experience at the executive level. Years of schooling and experience will carry weight for MBA (Executive) program. For LLM (Preliminary) program for the student must have LLB (Pass) from any standard University. For MA in Islamic Studies & English student must have at least Bachelor degree. Usually, admission is done by an Admission Committee formed by the Academic Council. The Candidates who are seeking for the admission to the above programs will have to come out in an admission test and get a satisfactory score on that test. Nevertheless, the candidates who have scored at least 1100 in SAT, 450 in GMAT and 550 in TOEFL will be admitted straightly into the BBA, LLB (Hons) and BA (Hons) programs correspondingly. Tuition fees structure and others cost of Bangladesh Islamic University (BIU) for graduate & undergraduate course. Admission form fee TK. 300/- only (non refundable). 1000/- development fee for Department of Business Administration, Law & English and TK. 500/- development fee for Department of Islamic Studies from second semester onward. Library caution money TK. 1000/- (Refundable) and Hostel caution money TK. 2000/- (Refundable). If you tell me and I can't remember that. I love you the more if you teach me. Don't hesitate to involve me because I want to learn. Bindubashini Govt Boys High School, Tangail.